According to the Pennsylvania Small Business Development Center, there are nearly 1 million small businesses in Pennsylvania, which employ nearly half of the state’s workforce. Small firms make up 98.2 percent of the state’s employers. 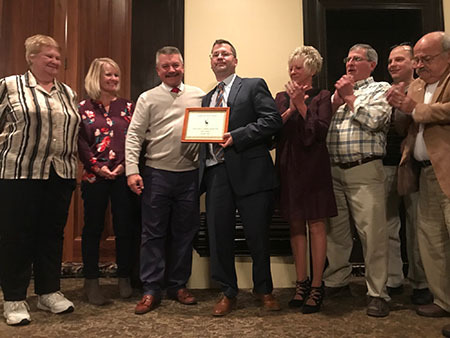 Congratulations to Justin Michaels of Selinsgrove, who was the recipient of the Robert Mertz Community Contributor Award from the Spreading Antlers Children’s Foundation. Justin serves as president of the nonprofit foundation, which formed in 2014, with the mission to improve the quality of life for children through the power of volunteers and generous donors and their mentoring and inspirational abilities. In addition to the many activities with the foundation, he also serves on the board of the Selinsgrove Center and organizes an annual fundraising night for the Noonan Syndrome Foundation. He is also a local coach and works with young men trying to earn a spot on the U.S. Olympic Wrestling Team. 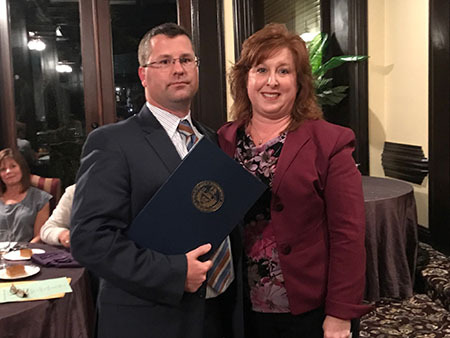 During the awards dinner, I was happy to personally congratulate Justin and present him with a citation from the Pennsylvania House of Representatives. Thank you for all you’ve done to make our community a great place for our youth! 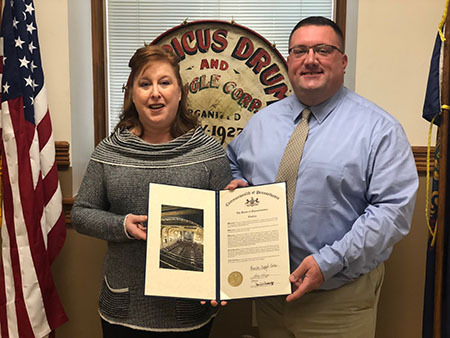 To celebrate the 125th anniversary of the Americus Hose Company, I was happy to present a House citation to Americus board member Brad Hare. The company was chartered on Nov. 9, 1893, and over the years, it has expanded to include an ambulance service. 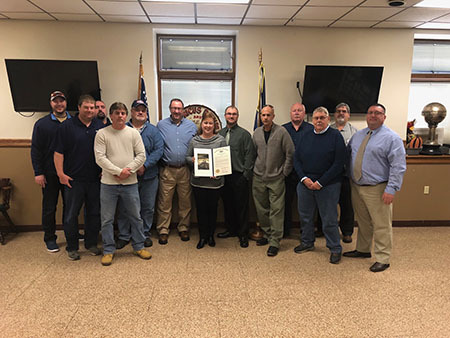 It has provided effective fire service, maintained a commitment to updating its equipment and methods of operation, and counted among its members an extremely well-trained and disciplined team. Thank you for meeting the needs of our community. 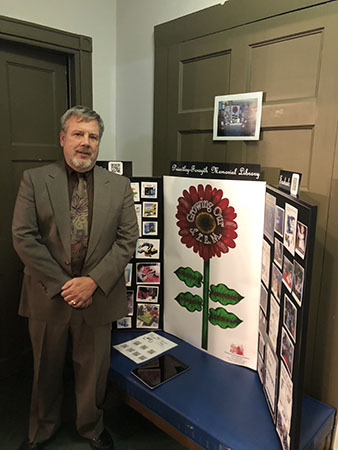 The Priestley-Forsyth Memorial Library in Northumberland is a wonderful gem in our community, offering a wealth of fun and educational programs to patrons of all ages. To showcase many of the programs they offer, the library held its Recognition Reception last week. Thank you to director Jeff Johnstonbaugh for inviting me to attend. 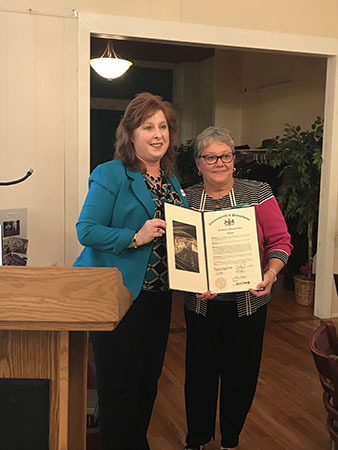 Congratulations to Birthright of Sunbury on its recent 35th anniversary. A chapter of Birthright International, the local organization was founded in 1983 to serve families in Northumberland, Union, Montour and Snyder counties by providing crib mattresses, diapers, infant formula and other baby items to those in need. The organization wouldn’t have achieved the success it has without the dedication of all of its leaders and members over the years. 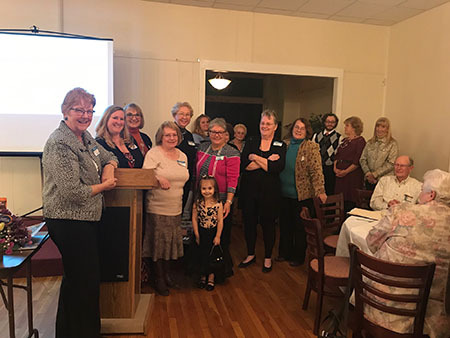 Pictured with me is president Laurie Berard and in the second photo are members of the organization at its recent anniversary celebration. The program partners with the Pennsylvania Game Commission, Department of Agriculture and many other sportsmen and charitable organizations. Since 1991, HSH has distributed more than 1.2 million pounds of donated venison. Hunters can donate all or part of a harvested deer by taking it to a participating processor, which will then distribute the ground venison to food banks and pantries. In an average hunting season, the HSH program’s goal is to channel about 100,000 pounds of processed venison through the state’s 20 regional food banks, which then redistribute to more than 5,000 local provider charities such as food pantries, missions, homeless shelters and churches, as well as individual families. To find a list of local processors or for more information, visit www.ShareDeer.org. Have You Taken the Broadband Speed Test? The Center for Rural Pennsylvania and its research partners at Penn State University are continuing to invite Pennsylvania residents to help provide that much-needed information by taking the broadband speed test available here: http://broadbandtest.us. Your participation will help map broadband access in Pennsylvania, providing a valuable tool as lawmakers work to resolve this issue. The center hopes that more than 1 million consumers will take the test. Researchers will continue to compile results through 2018, and the test will still be available in 2019 to further offer data to the federal government. If you have previously taken the speed test, thank you! Your results will help researchers better pinpoint what areas of the state are still in need of accessible broadband service. The lack of rural broadband access is a major problem in both rural and suburban Pennsylvania, impacting our economy, educational opportunities, health care access and more. For nearly four centuries, Americans have come together in the spirit of thanksgiving. From the earliest traditions that began in Plymouth, Mass., to the first official national observance in 1863, families have gathered in November to celebrate bountiful harvests and all that has been given to them. In honor of the Thanksgiving holiday on Nov. 22, state offices will be closed on Thursday, and my office will also be closed on Friday, Nov. 23. PennDOT Driver License Centers will also be closed Nov. 22-23. If you are traveling, be sure to check www.511pa.com for the latest traffic and weather information. From my family to yours, may you all have a safe, healthy and happy Thanksgiving.